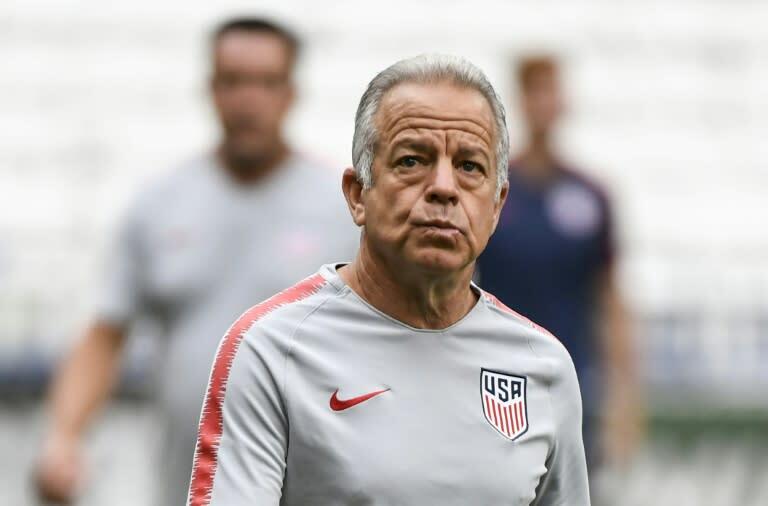 United States caretaker coach Dave Sarachan plans to ring the changes for his team's friendly international against old rivals Mexico on Tuesday as they look to bounce back from a chastening loss to Brazil. Sarachan's youthful side were outclassed 2-0 by the Brazilians in East Rutherford on Friday and now have to back up that defeat with a fixture against 'El Tri' at Nashville's Nissan Stadium. Sarachan, who took over as interim coach following Bruce Arena's resignation after the US failure to reach the 2018 World Cup, told reporters he expects to make significant changes to his starting lineup. "We are going to make changes," he said. "It's important that we get a look at some new faces. You can expect four or five maybe six changes in the starting lineup." Against Brazil on Friday, Sarachan's team was ultimately flattered by the scoreline in a one-sided encounter that saw the South Americans ruthlessly punish USA lapses in concentration. Sarachan said he wants to see Tuesday's game against Mexico a "little bit more on our terms." "A little bit more possession, a little bit more quality, and a little bit more imagination and creativity when we get the ball in good spots going forward," Sarachan said. "Defensively our shape and effort when we didn't have the ball against Brazil was good and I expect the same against Mexico. But I'd like to see us be a little bit more useful with the ball." Sarachan played down suggestions that his decision to change half of his starting lineup was a hint that the hosts were placing less emphasis on securing a positive result. The USA's "personal" rivalry with Mexico ensured the game would have a competitive edge, even if it was merely a friendly, he said. "It's always important to get a result," Sarachan said. "And with Mexico, it becomes important because it's a little bit more personal. There's a history and a rivalry. That doesn't go away. "These players understand that. And when we come away from it we expect a good result." Sarachan's squad is missing several pillars of the USA teams of his predecessors. Some, such as Michael Bradley and Jozy Altidore, have been omitted though not conclusively ruled out of returning to the international fold. Others, such as Clint Dempsey and Jermaine Jones, have retired. Sarachan said the departures meant it was necessary to re-establish a "hard-working" culture in the new, younger US set-up. "There has always been this identity of a hard-working team that puts in effort and understands what it means to be a part of the national team," Sarachan said. "With young players, sometimes that needs to be reintroduced. "I don't think if you look at the last few years and say that the team didn't compete or have heart. But I think with the young group, that needs to be reinforced each and every time we get together."